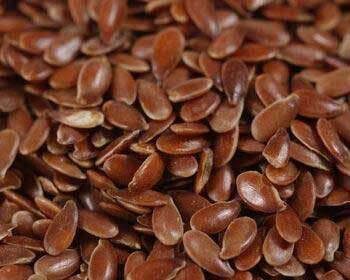 Flax Seeds or Linn Seed is a member of the genus Linum in the family Linaceae (binomial name : Linum usitatissimum). It is a cultivated crop and the plant is native to the region extending from the eastern Mediterranean Lands to India and was probably first domesticated in the Fertile Crescent. Flax is grown both for its seeds and for its fibers. Various parts of the plant have been used to make fabric, dye, paper, medicines, fishing nets, hair gels, and soap. Brown flax can be consumed as readily as yellow, and has been around for thousands of years, it is better known for its uses or ingredient in paints, fiber and cattle feed.